When I was in elementary school and we were studying earth science, I was given the “Avocado Pit” experiment. The experiment was simple. 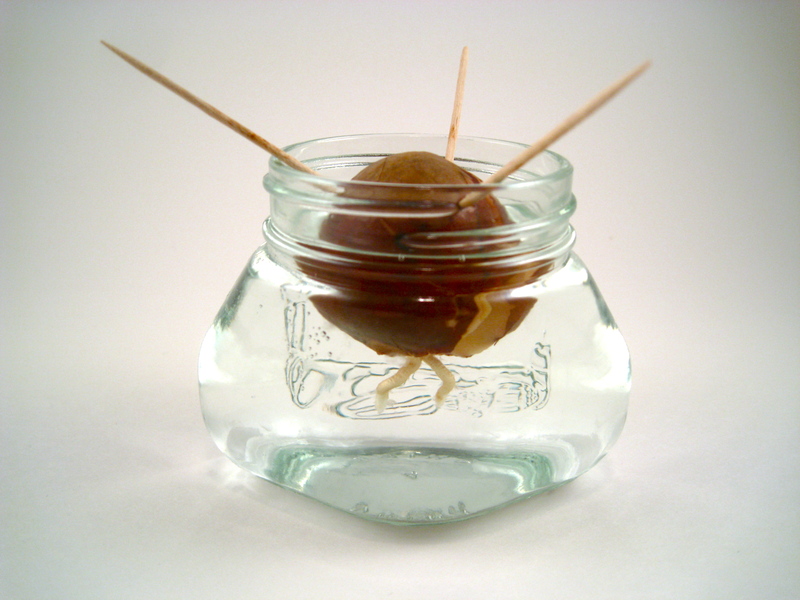 Basically it involved putting an avocado pit in water and letting it sprout. Eventually the pit would break open, a small shoot would come out and begin to grow. The next step was to plant it and start an avocado farm, but I never really got that far. The key to that experiment is also present in our gospel today. Jesus says, “Unless a grain of wheat falls to the ground and dies, it remains just a grain of wheat, but if it dies, it produces much fruit.” For the avocado pit to make an avocado tree, the pit must break open and die. It is only by being broken open is it able to grow. Each Sunday when we attend Mass we hear four pieces of scripture. The 1st reading is from the Old Testament. The psalm, which is usually sung, is one of the 150 Psalms. The 2nd reading is from a letter or Acts. The Gospel is from one of the four gospels in the New Testament. I don’t know about you, but far too often I just sit there while this abundance of scripture is read. Then I wait for the homily to wow me. I put the responsibility for this part of the Mass to be fruitful, all into the priest’s hands. I make it his job to make scripture come alive for me. See, all this scripture is like the grain of wheat or the avocado pit. Like the seed, the Sunday scriptures must be broken open. If we really believe that scripture is the living word of God, then it truly is a seed ready to be broken open. When we take the time to really break open the Sunday scriptures, then the word of God can grow and give us life. Great metaphor, but what does it mean? For me it means two things – Reading and Silence. For me to break open the Word, I need to read it before I get to Mass and I need to sit in silence while the scripture is fresh in my mind. One way to do this is an ancient prayer form called Lectio Divina. Pope Benedict said that if the Church (you and me) practiced Lectio Divina we would set the world on fire with our faith. What if every reading at Mass moved you and grew your faith? They can, just break scripture open a little ahead of time – you won’t regret it. Read the Sunday readings before you get to Mass this weekend, by clicking here. Want to try Lectio Divina? Try out HNOJ’s Lenten Prayer Guide. It contains instructions on Lectio and has a short version of the Gospel for each Sunday to use in Lecto Divina. For the complete 3rd Sunday of Lent readings click here. 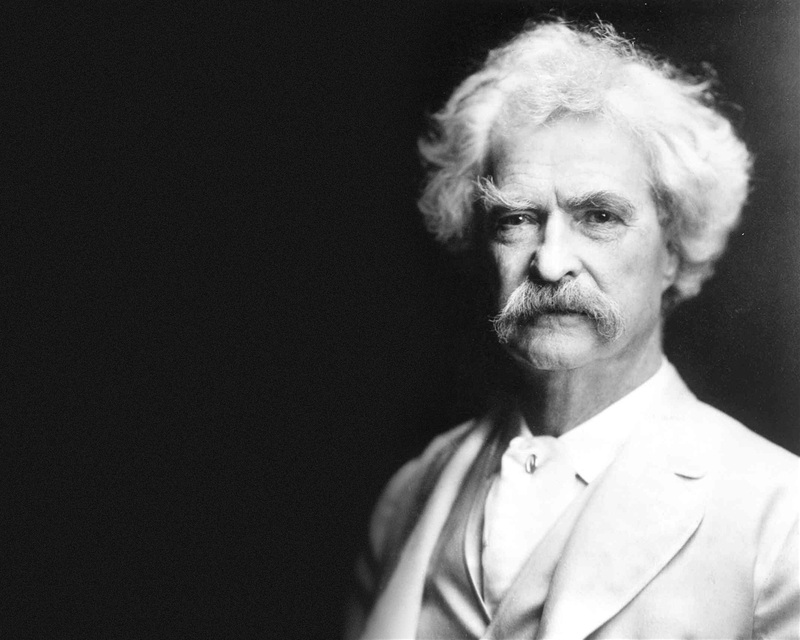 One of my favorite Mark Twain quotes is, “When I was a boy of fourteen, my father was so ignorant I could hardly stand to have the old man around. But when I got to be twenty-one, I was astonished how much he had learned in seven years.” I love this quote because it is so true. I can’t tell you how many things my father, really my parents, said to me that I dismissed as a younger man and have only come to appreciate now many years later. Have you ever had this experience? In the gospel today, we get a little insight into the developing faith of the disciples. We get to see them have one of these moments when they come to realize something Jesus said, which looks almost crazy, is actually true. This little glimpse into the interior life of the early Christians is often overshadowed by the big dramatic story of Jesus’ temple kerfuffle. After turning over the moneychanger’s table and driving out the animals, Jesus declares that the very temple they are standing in will be destroyed and he will rebuild it in three days. Can you imagine how crazy this sounded to the 1st century person? It would be like saying you could build the Vikings stadium in three days. What?! We had to rent this super huge crane and construct custom built steel pieces. We couldn’t even get everything delivered in three months! Three days? You’re crazy. I am sure the disciples dismissed this saying too. So it is amazing to read about how only later did they come to understand how this saying was true. It was true because Jesus was talking about the temple of his body and his ressurection. Jesus was replacing the temple and the sacrifice with his sacrifice on the cross and with his flesh of the Eucharist. The disciples were Jesus’ closest followers, but we get to see that they didn’t understand everything Jesus said instantly or perfectly. Only over the course of time did they come to understand and believe. If there is something that the Church or Jesus teaches that is hard for you to believe or understand, know this: you are not alone. The disciples had the same experience. They heard things they didn’t get until later. The great saints of the Church all had growing faiths. From Augustine to Francis to Teresa, they all grew in their belief and understanding. If there is something you don’t believe, you have to choose if you are going to actively pursue the truth or comfortably remain where you are. The difference between saints and sinners is that saints keep searching for what is true. The only authentic reason to believe something is because it is true. Keep searching for truth, Jesus is confident you will find him. Live It: This week: Make a list of questions you have about Catholicism or Jesus. It can be 1 question or 100. Next week: do something to find the answer. Email Chris if you want help with your search.